Regarded as one of America's top glass cleaners, Windex starts cleaning even before you wipe, leaving glass and other surfaces sparkling. The exclusive Ammonia-D formula and special grease-cutting additives loosen soil on contact to remove dirt without streaking or filming. Also recommended for stainless steel, chrome, porcelain, ceramic tile and Formica counters and tabletops. Phosphate-free. Each carton includes 12 - 32-oz. 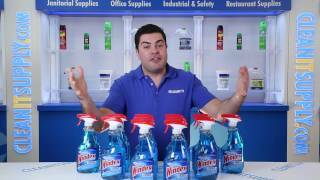 spray bottles so you can stock up and save! 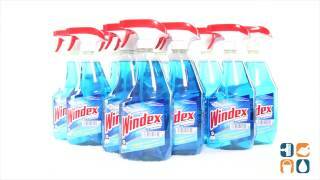 Order Windex today!